Martin Luther (1483-1546) greets his pious readers. Long and hard have I resisted those who wished me to publish my books or rather the disordered products of my sleepless nights. I had no wish for the works of the old writers to be eclipsed by my novelties or to impede the student from reading them. 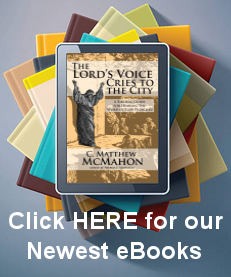 What is more, there are now available, by God’s grace, very many systematic writings—and above all Philip’s “Loci Communes”by which a theologian or a bishop can be given an abundance of attractive training to become proficient in preaching sound doctrine. Above all, Holy Writ can now be had in nearly every living language. My books, on the other hand, were prompted or rather dictated by the bewildering pressure of events, and consequently resemble the ‘primitive and disordered chaos’ so that even I can no longer sort them out with ease. For these reasons I desired hitherto that all my books should be buried in perpetual oblivion, to make room for better ones. But I have been overcome by the shameless and untiring importunity of others, who daily deafened me with their warnings that if I did not allow publication during my life-time, editors would assuredly get to work, after my death, who would have no knowledge of the causes and contexts of the subject-matter, and so would make confusion far worse confounded. They were seconded by the wish and the command of our illustrious Prince John Frederick, the Elector, who ordered and even compelled the printers not only to go to press but to bring out their edition in double-quick time. My main concern, however, is to beg my pious reader, for the sake of our Lord Jesus Christ himself, to read my books judiciously—or rather with much mercy. He should realise that I was once a monk, and that when I first took up this cause I was a most vehement Papist, so intoxicatedso drowned!—in papal dogmas that I stood ready beyond all others to kill, if I could, or at least to consent to and work with the killers, of every one who depreciated even by a single syllable the obedience due to the Pope. I was just such a Saul as the many that exist today. I offered no such ice-cold defence of the Papacy as did Eck and his like, who seemed to me to defend the Pope for the purpose of filling their own stomachs rather than from serious conviction—indeed, they seem to me to this day really to be laughing at him, like so many Epicureans. I was in deadly earnest, as a man who had a dreadful fear of the Last Day and yet longed from the bottom of his heart for salvation. This is why you will find in my earlier writings such a multitude of grovelling concessions to the Pope, which as time has proceeded I abominate and repudiate for extreme blasphemy. You will, then, pious reader, lay this error, or as my critics falsely describe it, this self-contradiction—to the charge of the time and my inexperience. In those early days I stood alone; I was fitted neither by experience nor education for dealing with such momentous subjects: and I call God to witness that I plunged into these controversies neither by choice nor conviction, but by chance. When then, in 1517 Indulgences were being sold in these districts (or ‘promulgated’, as I preferred to call it) for filthy lucre, I, who was in those days a preacher—what is called a young Doctor of Theology—began to dissuade and deter the people from lending their ear to the cries of the Indulgence-mongers, for there were to hand means of much greater good; and I conceived that in this I could claim the Pope as my protector, for I placed strong reliance on his good faith when he condenmed through his decrees in the clearest terms the avarice of these ‘quaestors’ (as he called the preachers of Indulgences). I went on to write two letters; one was to Albert, Archbishop of Mainz (who was actually going halves on the proceeds of the Indulgences with the Popesomething I did not then know), and the other to our so-called Ordinary, Jerome the Bishop of Brandenburg, asking him to repress the impudence and blasphemy of the ‘quaestors’. But I was only a poor little brother, and they despised me. Stung by this I published a list for disputation and, at the same time in German, a sermon on Indulgences, and a little later the Resolutions, in which my concern was to shield the Pope’s honour by pressing not for the condemnation of Indulgences but for preference to be given to works of love. This was indeed to rend the heavens and consume the world with fire! Accusation was laid against me to the Pope. I was cited to appear in Rome. The whole Papacy arose against me and me alone. All this happened in 1518, when Maximilian held the diet at Augsburg, and Cardinal Cajetan served as papal legate. The most illustrious Duke Frederick of Saxony, Elector and Prince, approached him on my behalf and secured me exemption from the summons to Rome, and instead a summons before the cardinal himself, who should investigate and decide the issue. Soon the diet came to an end. Meanwhile the Germans had wearied of the plunderings, traffickings and boundless deceits of the rogues from Rome, and they were awaiting with bated breath the outcome of so great an issue, which no previous bishop or theologian had dared to touch. In any case public opinion was blowing in my favour, because everyone hated the Romish artifices with which they had filled and exhausted the whole earth. And so I came to Augsburg, a poor traveller on foot, but armed with provisions and a letter of commendation from Prince Frederick to the Senate and to certain men of good-will. I was there three days before I went on to the cardinal, for those excellent friends held me back and urged me with all their power not to approach him without a safe-conduct from the emperor. Every day, however, the cardinal summoned me through a spokesman of his, who was a great nuisance with his insistence that if I would only revoke, all would be well. But my grievance was too long-standing to permit of an easy way out. At last, on the third day, the spokesman came demanding to know why I kept away from the cardinal, who was awaiting me in the kindest spirit. I replied that I could not go against the advice of my excellent friends, to whom I had been commended by Prince Frederick, and who would not hear of my going to the cardinal without the emperor’s protection or safe-conduct. Once I had it (which they were working for through the imperial senate) I would come at once. At this he lost patience. ‘Do you imagine that Prince Frederick will take up arms on your behalf?’ ‘I certainly should not wish him to.’ ‘Then where will you stay?’ ‘Under the sky,’ I replied. Then he said, ‘If you had the Pope and the cardinals in your power, what would you do?’ ‘I would show them,’ I answered, ‘all reverence and honour.’ Then he, with a derisive Italian gesture, said ‘Hem!’, and off he went and never came back. Such were the beginnings of all that trouble. The rest you can learn from the account of the proceedings included below. During that year Master Philip Melanchthon had already been summoned here by Prince Frederick to teach Greek literature, doubtless to give me a colleague in my theological work. His writings attest sufficiently what the Lord has accomplished through this instrument of His, not just in literature but in theology, let the devil and his agents rage as they will. In the following year, 1519, Maximilian died in February, and by the law of the empire Duke Frederick took his place. This led to some easing of the stormy situation, and gradually there arose a contempt for ex-communications and Papal thunderbolts. For when Eck and Caraccioli brought a Bull from Rome condemning Luther, and each of the found opportunity to bring it to the notice of Duke Frederick, who was at Cologne at the time along with other princes in order to meet the recently elected Charles, Frederick was most indignant about it and with great courage and firmness rebuked that rascally Papist, because along with Eck he had disturbed his own and his brother John’s domains behind his back. He reproved Caraccioli with such majesty that the two men departed quite crestfallen and ashamed. The prince was blessed with incredible insight to see through the stratagems of the Roman Curia and to deal with them as they deserved. He kept his nose very clean and could smell out more things from a greater distance than the Romanists could either hope or fear. This is why, after that, they did not put him to the test again. Even on the so-called ‘Golden Rose’, sent him that very year by Leo X, he put no value but rather ridiculed it; and so the Romanists were forced to give up in despair their attempts to deceive so great a prince. The Gospel spread and prospered under his protection, and was propagated far and wide. His authority influenced a great number. His supreme wisdom and keen-sightedness secured him from the suspicion (except among the ill-disposed) of wishing to nourish and protect heresy or heretics, and this did the Papacy great harm. The same year the Disputation of Leipzig was held, when Eck chal¬lenged Carlstadt and myself, but I could not get a safe-conduct from Duke George although I wrote him repeatedly; so I came to Leipzig not as a debater but an observer, under the safe-conduct granted to Carlstadt. I do not know who had blocked my application, for hitherto Duke George (as I knew for certain) had been on my side. Here Eck came to my lodging and said he had heard that I was re fusing to debate. I replied, ‘How can I debate, when I can’t get a safe-conduct from Duke George?’ He said, ‘If I can’t debate with you, I’ve no wish to debate with Carlstadt either, for I came here on your account. If I get you a safe-conduct, will you debate with me then?’ ‘Get it,’ I said, ‘and I will’. He left, and soon a safe-conduct, with full liberty of public debate, was granted me. Eck did this because he foresaw a chance of distinguishing himself in dealing with my thesis that the Pope had no divine right to be head of the Church. Here a wide field lay open to him and a supreme opportunity of winning the favour of the Pope by flattery and applause, while at the same time overwhelming me with hatred and disgust. He followed this line vigorously throughout the debate, but he neither proved his own case nor refuted mine. Duke George himself said to the two of us at breakfast, ‘Well, divine right or no, he’s still the Pope.’ He would never have said this if the arguments hadn’t left their mark on him, but simply approved Eck’s case alone. Here, in my case, you should observe how hard it is to struggle clear of errors which have been confirmed by the example of the whole world, and which long habit has turned into second nature. How true is the proverb, ‘It is hard to give up what one is used to’, and the other, ‘Custom is second nature’. How truly Augustine remarks, ‘Custom, if it is not resisted, becomes necessity’. I, who at that time had been reading and teaching the Holy Scriptures most diligently in private and in public for seven years, so that I knew them nearly all by heart, and who had by then acquired the firstfruits of knowledge and faith in Christ—that we become righteous and are saved not by works but by faith in Christ, and finally, who was already defending in public the thesis of which I am speaking that the Pope is not the head of the Church by divine right—even I did not then draw the conclusion that the Pope must needs be of the devil. For that which is not from God must necessarily be from the devil. As I have said, I was so habituated to the example of holy Church and the title it used, as well as to my own customary language, that I conceded human right to the Pope, which, however, unless it rests on divine authority is a lie and from the devil. For we obey parents and magistrates not because they prescribe it but because such is the will of God . This is why I can tolerate with some equa¬nimity those who cling pertinaciously to the Papacy, especially those who have not read sacred or even profane writings, when I, who read the Scriptures for so many years with such diligent care, could cling to it so tenaciously myself. He asked me, then, to see what I could do to keep the peace; he would do all he could to get the Pope to do the same. I promised without reservation that I would do everything most promptly that would not play false with my conscience. I too was eager and zealous for peace; I had been dragged into these troubles despite myself, and all my moves had been forced. The blame was not mine. He had, however, summoned John Tetzel of the preaching Order, who was primarily responsible for these tragic events, and had so broken the man’s spirit with threatening words from the Pope, that Tetzel, hitherto so fearsome to all and so fearless in his proclamations, began to waste away and finally succumbed to mental sickness. Before he died I learnt what was happening, and comforted him with a kindly letter, bidding him be of good cheer and not to fear the memory of me. It seems that his death was due to his own conscience and the wrath of the Pope. Karl then, and his schemes, were considered futile; but in my opinion if [Albert of] Mainz had from the start, when I ad¬monished him, and still more if the Pope, before he condemned me without a hearing and gave vent to his rage in the Bulls, had adopted the same plan as von Miltitz belatedly took up, and had at the outset quenched the outbursts of Tetzel, things would not have grown to such a furore. The entire blame rests with Mainz, who was de¬luded by his own cleverness and guile, with which he planned to sup¬press my teachings and keep his hands on the money he had made through Indulgences. But nowadays counsels are taken in vain, and efforts are bent to no effect. The Lord has awakened and stands ready to judge the people. Even if they could slay us, they wouldn’t get what they wantindeed they would lose what they have while we live in safety. Several of them, who have not entirely lost their scent, are al¬ready sufficiently aware of this. Meanwhile, in that year I had once again turned to the task of interpreting the Psalms, relying on the fact that I was in better training for it since I had handled in the schools the epistles of St. Paul to the Romans and Galatians, and the epistle to the Hebrews. I had certainly been seized with a wondrous eagerness to understand Paul in the epistle to the Romans, but hitherto I had been held up—not by a ‘lack of heat in my heart’s blood’,’ but by one word only, in chapter 1: ‘The righteousness of God is revealed.’ For I hated this word ‘righteousness of God’, which by the customary use of all the doctors I had been taught to understand philosophically as what they call the formal or active righteousness whereby God is just and punishes unjust sinners. For my case was this: however irreproachable my life as a monk, I felt myself in the presence of God to be a sinner with a most unquiet conscience, nor could I believe him to be appeased by the satisfaction I could offer. I did not love—nay, I hated this just God who punishes sinners, and if not with silent blasphemy, at least with huge murmuring. I was indignant against God, as if it were really not enough that miserable sinners, eternally ruined by original sin, should be crushed with every kind of calamity through the law of the Ten Com¬mandments, but that God through the Gospel must add sorrow to sorrow, and even through the Gospel bring his righteousness and wrath to bear on us. And so I raged with a savage and confounded conscience; yet I knocked importunely at Paul in this place, with a parched and burning desire to know what he could mean. At last, as I meditated day and night, God showed mercy and I turned my attention to the connection of the words, namely—‘The righteous¬ness of God is revealed, as it is written: the righteous shall live by faith’—and there I began to understand that the righteousness of God is the righteousness in which a just man lives by the gift of God, in other words by faith, and that what Paul means is this: the righteousness of God, revealed in the Gospel, is passive, in other words that by which the merciful God justifies us through faith, as it is written, ‘The right-eous shall live by faith.’ At this I felt myself straightway born afresh and to have entered through the open gates into paradise itself. There and then the whole face of scripture was changed; I ran through the scriptures as memory served, and collected the same analogy in other words, for example opus Dei, that which God works in us; virtus Dei, that by which God makes us strong; sapientia Dei, that by which He makes us wise; fortitudo Dei, salus Dei, gloria Dei. And now, in the same degree as I had formerly hated the word ‘righteousness of God’, even so did I begin to love and extol it as the sweetest word of all. Thus was this place in St. Paul to me the very gate of paradise. Later I read Augustine on the Spirit and the Letter, where beyond all hope I found that he also interprets the righteousness of God in the same way, as that in which God clothes us when he justifies us. And although Augustine’s statement of this is still open to criticism, and he is neither clear nor comprehensive in the matter of imputation, yet he is satisfied that the righteousness of God should be taught to be that by which we are justified. I have told this story, gentle reader, that you may bear in mind, if you read my modest writings, that…..I am one of those who (as Augustine said of himself) have improved as a writer and teacher, not of those who have suddenly from nothing become supreme, although they have done no works, undergone no temptations, had no experi¬ence, but with one glance at scripture exhausted the total spirit of its contents. The Indulgence controversy reached this point by 1520 and 1521. Afterwards came the sacramentarian and Anabaptist controversies, and if I live long enough I shall write about them in a preface to my other volumes. Farewell, my reader, in the Lord: pray for the increase of the Word against Satan. He is strong and he is evil, and at this time he rages with fury, because he knows that his time is short and the kingdom of the Pope is in danger. But may God confirm in us what he has performed, and perfect the work he began in us, to his glory. Amen.